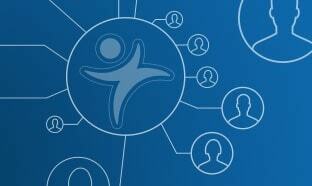 Marketing is complex and driven by rapidly evolving digital technologies. Yet core business issues endure: finding the most profitable growth opportunities, developing the best products and services, taking the best marketing action, and maximizing cross-business impact. In addition to a constant focus on the customer – current or potential – one of the imperatives is to be data-driven. Data is ubiquitous in all aspects of finding consumers and making them happy, from introducing new products or services, to positioning, branding, advertising, segmentation and promotion. 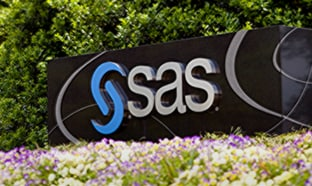 Although the digital revolution offers the promise to positively change the dynamic with consumers, this opportunity will be realized only if you can successfully leverage new data to better understand what specific groups of consumers really want and how you can best meet, or even shape, their needs. 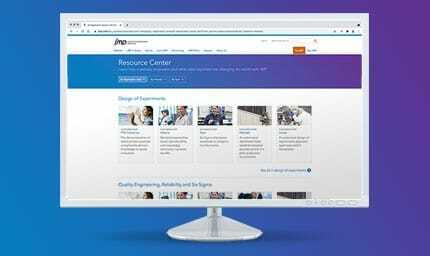 Whether you are conducting exploratory, descriptive or causal research using primary or secondary sources, JMP provides a comprehensive repertoire of tools for quickly and easily getting value from metric and non-metric quantitative data. Typically, many variables are involved. Interdependence techniques treat all variables on an equal footing, whereas dependence techniques aim to identify relationships between groups of variables, usually between inputs (X’s) and outputs, outcomes or items (Y’s). 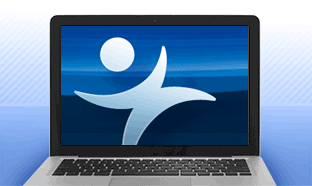 The agility and interactivity of JMP makes it particularly suited to ad hoc studies, but its programmability also provides options for expediting routine, ongoing studies, within the confines of a desktop application. 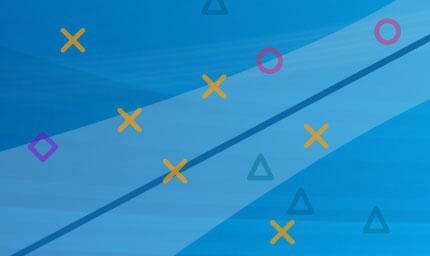 No matter what your level of statistical expertise, JMP helps you understand your data, find new consumer insights more quickly, and communicate these insights to other stakeholders to drive consensus and action. 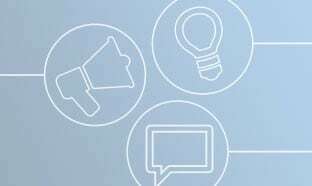 Ill-defined problems and opportunities relating to consumers are usually clarified and refined using a combination of interviews, focus groups and observational and ethnographic studies. Exploratory research is also used to formulate hypotheses and develop measurement scales. 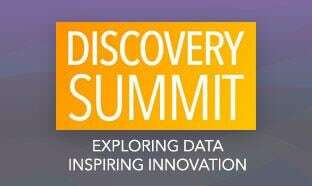 Often, primary data is scarce and secondary data is abundant. JMP provides many options for handling primary data, including Tabulate, Graph Builder, and Categorical platforms. You can interactively define tables of summary statistics with grouping variables and generate a multitude of graph types, including geographic maps. You can explore and analyze the pattern of categorical responses from surveys, handling data in a variety of formats. If you have sparse data, defining “super categories” combines levels to increase cell counts, making results more reliable. Item Analysis provides an alternative approach when you have a set of items assigned yes/no values by respondents. JMP Pro provides exact and asymptotic tests, giving a more reliable indication as to whether or not an association is real. Text Explorer extracts potentially useful patterns from a body of documents, each of which may be simple (for example, a free text response to a survey question) or complex (for example, comments from a technician undertaking scheduled maintenance of a piece of equipment). All of these analyses can be used with secondary data, too, but this can be harder to work with effectively since it was collected to meet different objectives. 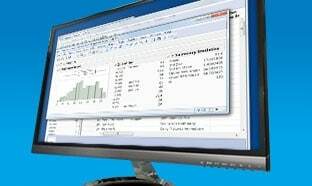 The import wizard in JMP supports many file types, including SPSS Desktop Reporter. You can also import data directly from HTML tables embedded in web pages, or use Query Builder to streamline access to relational data. 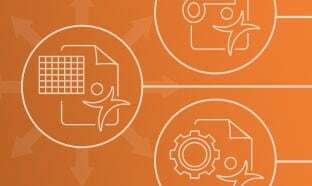 The statistical discovery workflow of JMP is well-suited to situations when it’s not clear what’s in your data and how it can (or can’t) help meet your objectives. 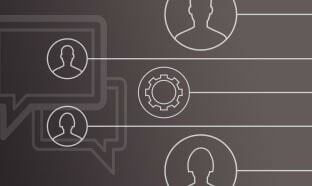 The Missing Data Pattern feature allows you to quickly isolate cases that will be informative. Dynamically linked graphs in JMP let you quickly see any interesting structure in the data, isolate unusual cases and handle them appropriately. To model relationships, Evaluate Design shows you which models your data will actually support, as well as estimating the power of each term involved. And if you have many columns, really messy data with many outliers, Response Screening or Partition may still allow you to gain useful insights into which X's can help explain the variation in a chosen Y. Use the Text Explorer to triage and interpret free text data in surveys and comment fields. Descriptive research usually builds on prior exploration to describe markets, segments, competitors and consumers. It’s also used to measure performance within an agreed framework, usually on an ongoing basis. 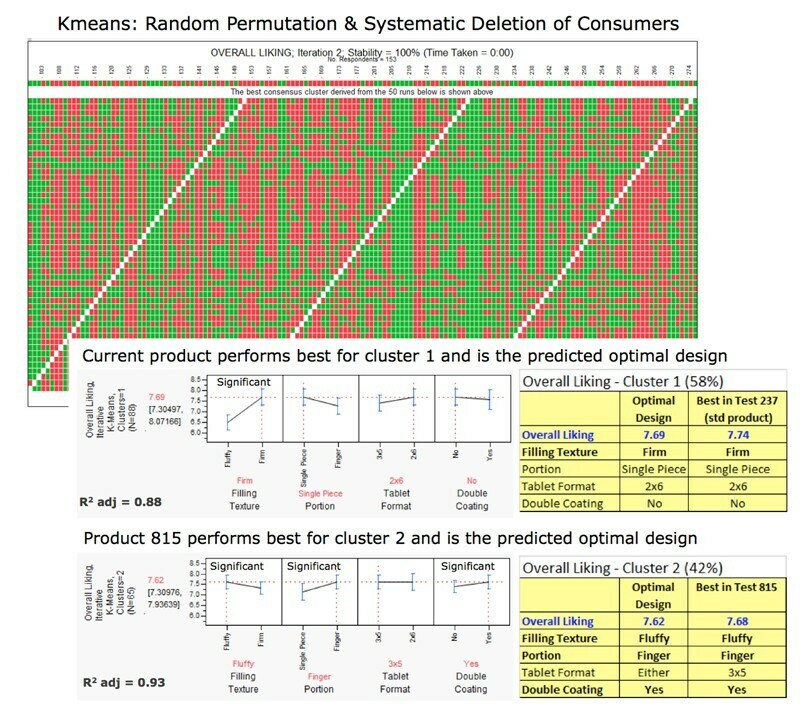 Most consumer research data has many columns, so multivariate techniques that exploit correlations and associations are used to describe the pattern of variation using fewer dimensions. Ideally (but not always) the important new variables that result can be given straightforward interpretations, and the data reveals obvious and informative patterns. JMP provides principal component and factor analysis, but if the results are difficult to interpret you can still reduce dimensionality by clustering the original variables and identifying the one that is most representative of each cluster. This is useful when you want to build a dependence model. Perceptual maps help you position offerings against competitors’ by conducting a correspondence or multiple correspondence analysis of cross-tabulated categorical data. Alternatively, you can use Multidimensional Scaling to map multiple attributes and multiple brands at the same time, often giving a greater understanding of consumer perception and markets. To segment cases into distinct groups, JMP uses hierarchical or k-means methods with your choice of similarity measure; in the hierarchical case, you can directly select in the dendrogram the clusters you want to retain. 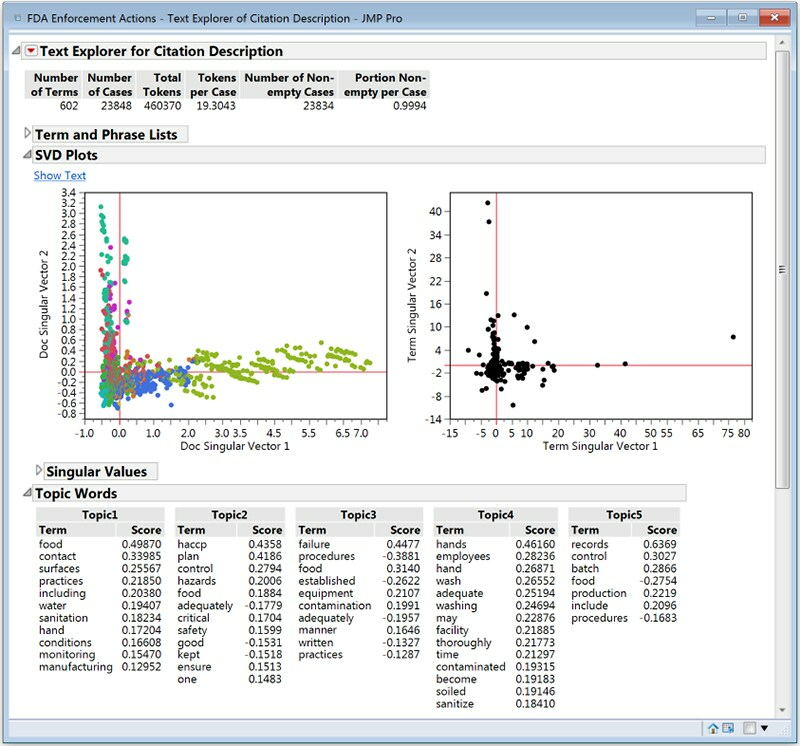 JMP also provides latent class analysis as an alternative way to meet similar objectives. You can identify variables that best separate groups using discriminant analysis, often as an alternative to nominal logistic regression. JMP also lets you build simple dependence models using Fit Y by X, which responds automatically to the modeling types of the variables you assign to the X and Y roles to unify many commonly used approaches such as ANOVA and contingency analysis. Context-specific options guide you through subsequent analysis with visual results. You can fit more complex dependence models, selecting important variables via stepwise regression. 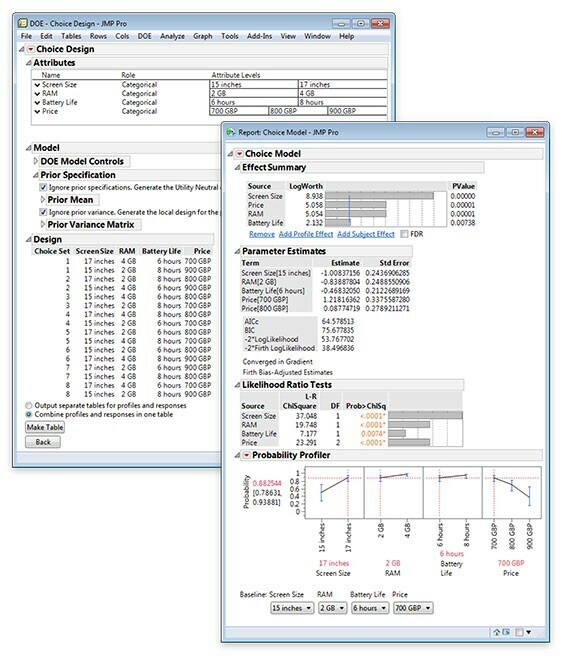 JMP Pro, the advanced analytics version of JMP, includes modern variable selection techniques to help build parsimonious models. Residual maximum likelihood is also provided to assure reliable estimates no matter what the balance of your data. Although coefficient estimates can be useful, profiling the resulting dependence between Y's and X's is often more useful, particularly if you need to review competing models or communicate findings to others to build consensus. The Profiler allows you to interact visually with models in a consistent way, no matter what modeling approaches you used. It also includes a Monte Carlo simulator to assess how real-world variability in X's will propagate to variability in Y. Finally, for point of sale data, you can use Association Analysis (also known as Market Basket Analysis) to identify items that shoppers often purchase together. Establishing cause requires an explanatory theory, a statistical relationship, correct time ordering, and adequate control of any other X's considered as extraneous. Statistically designed experiments, in which X's are manipulated according to a specific plan to deliberately induce variation in Y's, are a potent weapon in causal research. 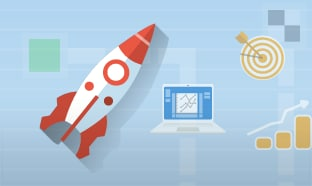 For any experiment, the plan shapes the subsequent analysis, and JMP provides a comprehensive set of capabilities to meet all your experimental objectives, in a form that you can easily grasp and use – from reliably establishing any difference between two treatments, to jointly optimizing several Y's driven by multiple X's, some of which may be hard or very hard to vary in practice. In addition to the usual classical designs, JMP provides an innovative custom designer that lets you fit the design to your problem, rather than vice versa. Additionally, the new definitive screening designs unique to JMP provide clear advantages when your problem demands a sequential approach. JMP also allows you to generate designs in which consumers are presented with simple choices between characteristics of a product or service so that they can more clearly state their preferences, including "no preference." Such choice experiments require statements of prior knowledge to generate an efficient design. 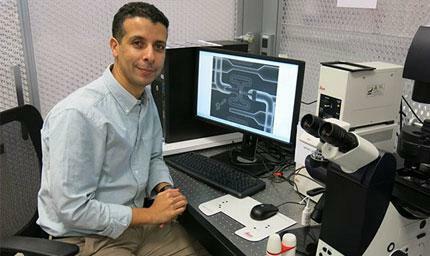 Including cost as a factor and conducting such experiments early for a proposed product or service have numerous advantages. 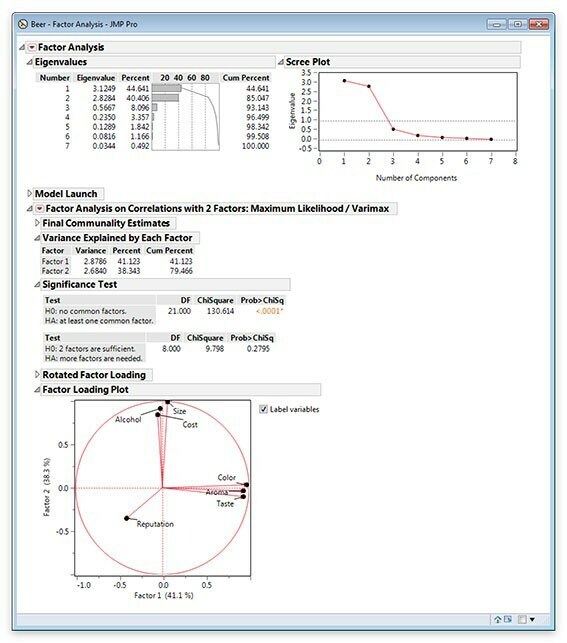 In addition to choice experiments, JMP allows you to design and analyze rating and ranking conjoint experiments. The custom designer supports designs involving consumer ratings on a Likert scale, and when you want to force respondents to discriminate among brands or product features you can use rankings, or a MaxDiff design which focuses only on the "best" and "worst" option in a choice set. Defining factors as hard or very hard to change allows you to generate ranking designs with multiple tasks per respondent. This allows better coverage, yet prevents respondent fatigue by minimizing the number of questions each sees. You can also eliminate nonsensical questions by defining disallowed combinations in the custom design that JMP generates. You can also explicitly model differences between respondents using a Hierarchical Bayes approach. Aim to understand how our human senses will contribute to the overall experience of consuming or using a product. Sensory panels are composed of specially trained experts who provide very detailed feedback and are typically used in the development of new products and to safeguard the quality of existing products when changes are made. Consumer tasting panels are similar, but typically are less rigorous and help more with market acceptability. Although each is important, successfully linking sensory panel results to consumer panel results for a specific product category provides an even more powerful capability. 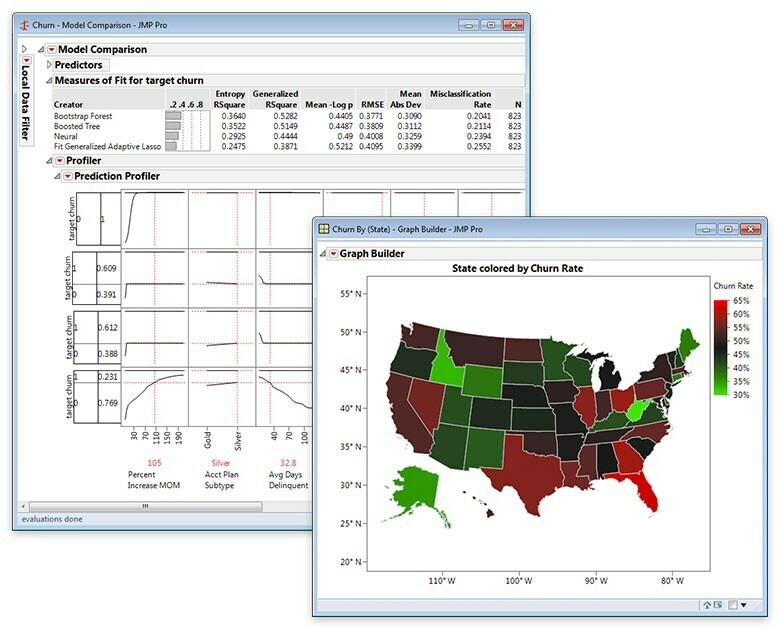 No matter what your preferred analysis workflow, JMP provides all the graphical and statistical tools you need to assure that the rankings and ratings produced by assessors are reliable, and to then check whether your sensory or consumer panel actually does allow you to objectively and quantitatively differentiate between products. ANOVA and/or regression with random effects are typically used, often supplemented with principal components analysis. Using partial least squares can also allow you to model the relationship between consumer and sensory results. Once your approach is clear, you can easily build applications that help you or others to repeat the analysis in the future, or to simply review or present the key findings. The application can include an appropriate level of automation, guidance and interpretation, handling the nuances of your specific situation and data. Y's are predicted from X's using observational data, usually already available. While falling short of establishing causality, predictions of future consumer behavior, if they are trustworthy, can still be incredibly valuable. For instance, good predictions can help you entice new, profitable consumers, or accurately target those who are about to churn with offers to stay. Commonly associated with the field of data mining, JMP – and particularly JMP Pro – allows you to quickly and easily build and compare neural network and tree-based models that capture repeatable rather than chance consumer behaviors. Models from regression and partial least squares can also be handled within the same framework to avoid the pitfalls of overfitting. 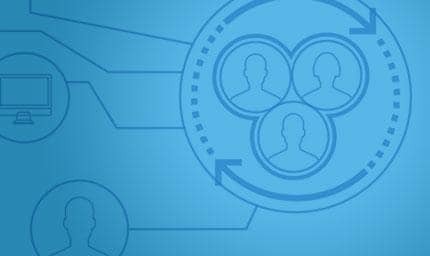 In addition, JMP Pro provides uplift modeling to allow you to better manage relationships with those consumers who only respond to marketing actions because they were targeted. You can also model the incremental impact of actions or treatments on an individual's response to know if your actions or treatments are having the desired effect. 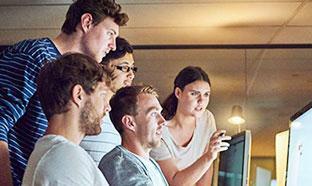 Although usually thought of as only for advanced practitioners, JMP provides these techniques in a consistent, easy-to-use way that is accessible to all researchers, without diluting the power of the underlying algorithms.